Limited time offer for Cleaning Service in LA -- 30% off your first booking! Hi I’m Paris. I’m with Handy on a first come first serve (a same day to day basis). I don’t book days/months or weeks in advance. Things come up, like Jury Duty etc. Most jobs I book start at 7am needing a 4/5 hr cleaning. I click on the App if I’m Available that morning. I love a clean house; that you’ll get. I’m in other businesses starting at 5am beating every other time slot daily. In this star-studded City of Angels, everyone is far too busy angling for their fifteen minutes of fame to spare any extra hours for home cleaning. We at Handy believe cleaning services are best left to the professionals, freeing you up to try for that big break, write that next blockbuster script, or just hit the gym for the first time in weeks. Life in LA is usually lived at 100 miles per hour, so booking regular home cleaning services to take care of your mundane tasks like scrubbing the floor or dusting the bookcase is a perfect solution for everyone. That’s where we come in. Cynthia V was so wonderful! She did a great job, was on time and super friendly and respectful. Loved her! Melinda was very thorough and did excellent work. She was also respectfuk. We'd love to have her be our regular specialist. She was on-time and very professional. After she left, my apartment looked awesome! I highly recommend her! Approachable and kind. Did really good job and was eager to help out and took my requests serisouly. Definitely, did a great job! Excellent and oh so clean. The best dusting and cleanest floors I have ever seen. Thank you so much. Great job, clean and thorough. Quality eco friendly good smelling cleaning supplies, great vacuum, and positive attitude. On time, hard working, very concientious and paus attention to detail. Would love to habe her everytjme! I adore Cynthia. She is wonderful, detailed and always leaves my house impeccable. It's such a joy to come home after she has been here. Where to begin. Yoselin is so efficient and has done such a phenomenal job both times she has cleaned my home. She is incredibly attentive to detail and really goes above and beyond the call of duty. Thank you Yoselin! Why choose Handy to book cleaning services in LA? Launched in 2012, Handy is an instant access home services platform to Los Angeles cleaning services, all available in just a few taps or clicks. Too busy to do the laundry or tidy up your apartment? Download the Handy app and book cheap cleaning services while you’re stuck in traffic on the way to your next audition. Need cheap home cleaning services but don’t know who to pick? Check out our network of the best cleaning service professionals in LA and choose the one whose reviews jump out at you most. It’s all right in the palm of your hand with Handy. The cleaning services offered by professionals on the Handy platform are meant to work around you. Tell us when you want your professional cleaner to arrive, and they’ll be there when you need them. Got a call-back unexpectedly for that acting job and need to change your plans? No trouble – just give us at least 24 hours’ notice and we’ll reschedule your appointment with no fuss. We want to make sure you’ve got complete peace of mind, so every Los Angeles cleaning services booking comes with the Handy Happiness Guarantee. That means if you’re not happy, neither are we, and we’ll work hard to make things right. Cheap cleaning services booked through Handy doesn’t mean that there’s any compromise on quality, either. From vacuuming and dusting to mopping and scrubbing, you’ll get it all. 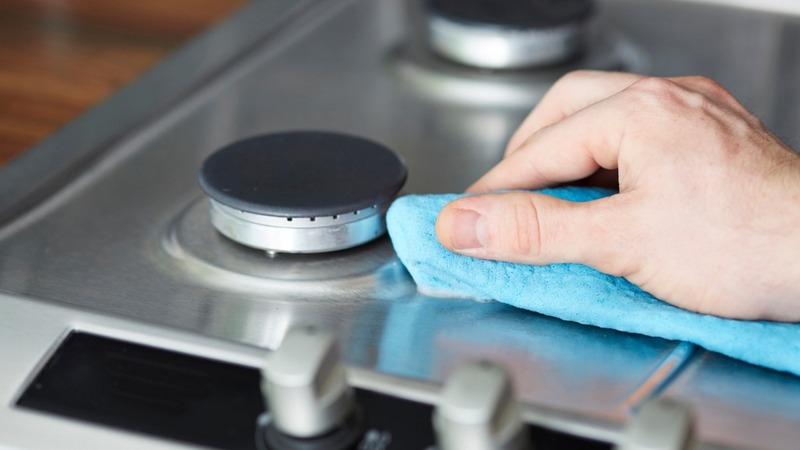 And if you need extras such as help with laundry, oven cleaning, or fridge cleaning, you can customise your cleaning services to suit both your wallet and your needs. It’s all here on Handy. Start checking out our network of the best home cleaning service professionals and book your own cleaning service today. Are you born and bred in LA but have never actually put your tourist hat on for a weekend? Do you drive past Grauman’s Chinese Theatre every day, but have never set one foot inside the place? Start rediscovering your city by freeing up all that time you’d otherwise spend cleaning your home. Hand your list of chores over to a cleaning service professional in Los Angeles and you’ll soon find yourself with more leisure time than you know what to do with. And if there’s ever a city that has plenty to offer, it’s LA! Pack up the car and take the kids to Huntington Beach for the day or check out the charms of Santa Monica. Don’t worry about that stack of dishes in the sink while you’re out – your Los Angeles cleaning service will take care of that for you. Whether you’ve got an apartment in the center of town or a family home in the suburbs, the best cleaning services in LA are only a click away with the Handy app. LA is a tough town to live in – it’s fast, it’s furious, and it can easily leave you behind if you don’t keep up. Make sure you’ve got the time to enjoy Tinseltown by letting a cleaning service professional look after all your home cleaning needs.